and the way that they are able to live in it and use it. 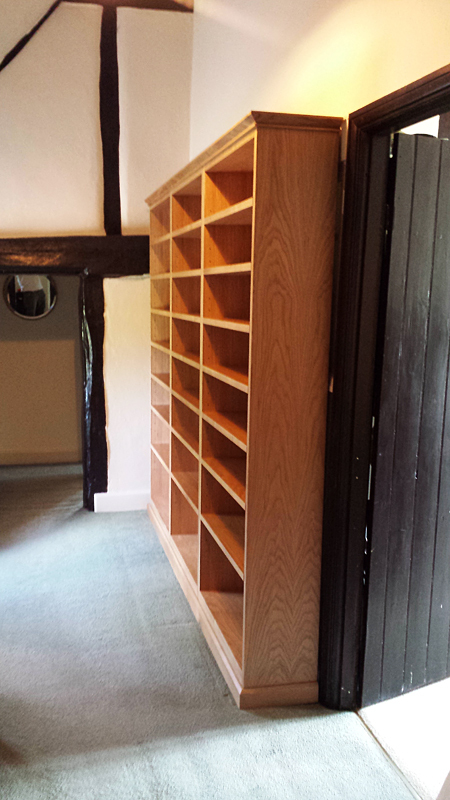 In this case, our clients live in an old cottage, and wanted beautiful bookcases to fit a particular space in their home full of character. 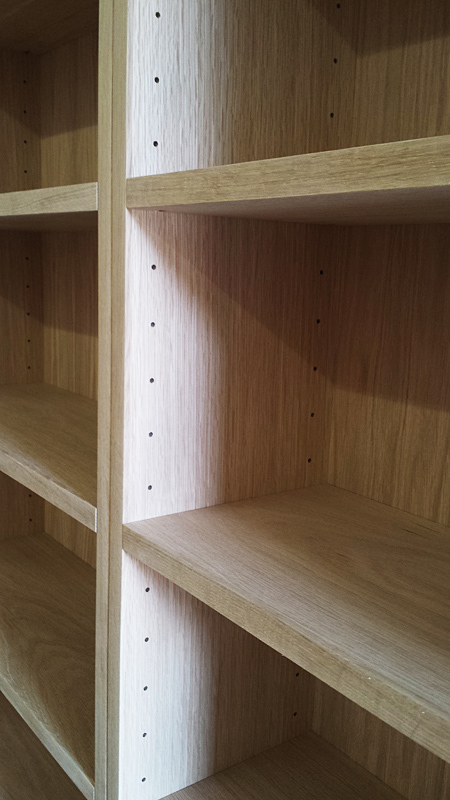 However, they also need the bookcases to be flexible for other possible uses, so they wanted it to be designed so that the bookcases can also be split, and used separately without the cornice and plinth details. 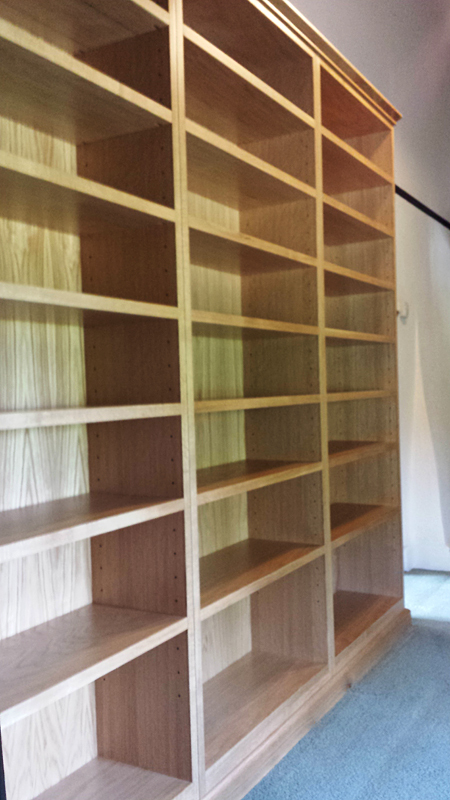 The first two photos show the bookcases in place in our clients’ house, having just been fitted. 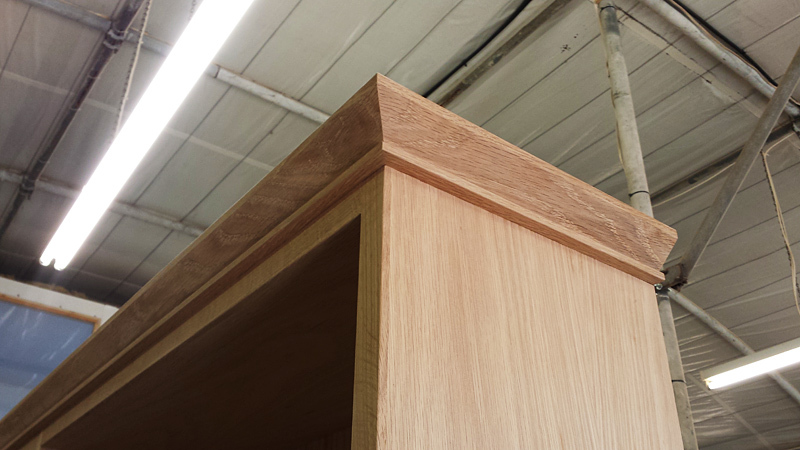 The following photos show the bookshelves in our workshop, completed, and just prior to polishing. The spec. 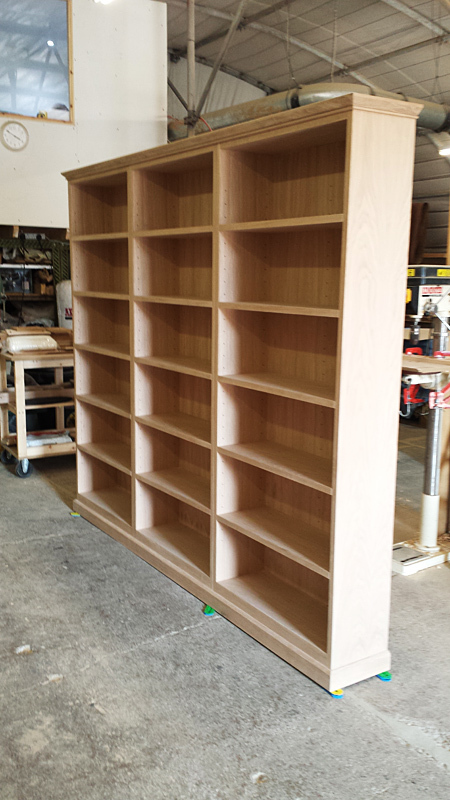 that we sent to our clients for the bookcases was the following. 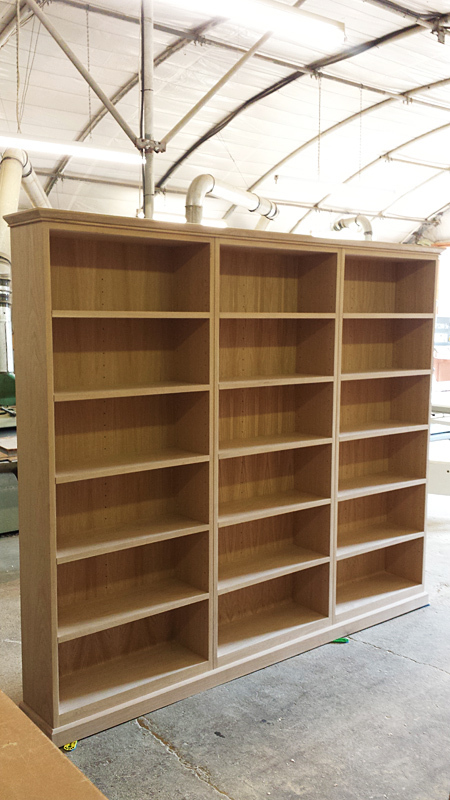 – Freestanding Bookcases, split into 3 sections with cornice and plinth details. Moulding detail around cornice. Are you thinking of having something designed and made for your home? Contact us HERE for a chat to discuss your requirements.